Home > All Products > Cheese, Dairy & Eggs > Consumer Cheese > Amber Mist 200g - contains alcohol! 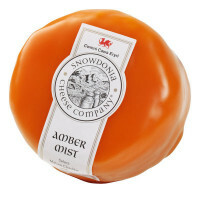 Amber Mist 200g - contains alcohol! A mature Cheddar warmed through with a generous splash of Whisky. We sell as individual 200g packs for Christmas time only!